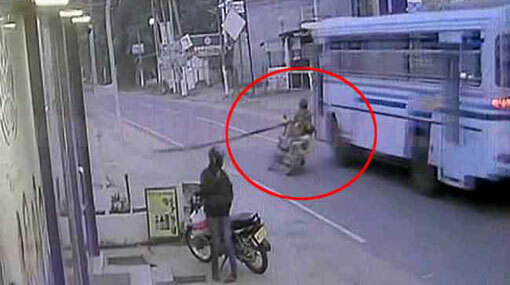 A man carrying a bamboo stick on a motorcycle has died after he was run over by a bus on Negombo-Mirigama main road at around 5.40 a.m. this morning (22). The accident was caused as the victim had failed to take control of the motorcycle and swayed to the centre of the road when a bus, which had come from behind, ran over him. The motorcyclist had succumbed to injuries on the spot, however, he was admitted to Mirigama hospital afterwards. The deceased is a 53-year-old father of two occupied as a coconut plucker. Katana Police is conducting further investigations into the incident.